The regiment was formed in 1881 by amalgamating the 87th (Royal Irish Fusiliers) Regiment and the 89th (The Princess Victoria’s) Regiment. Originally named The Princess Victoria's (Royal Irish Fusiliers), its title changed to The Royal Irish Fusiliers (Princess Victoria’s) in 1920. In England at the time of the merger, the 87th Foot became 1st Battalion and saw action in the Egyptian campaign the following year. In 1883, 1st Battalion moved to India, remaining there for 16 years. The 89th was in India when the amalgamation occurred and became the new unit’s 2nd Battalion. It returned to Britain in 1884, via the Sudan. 1st Battalion sent detachments to the Gold Coast in 1895 and to the Sudan in 1898. 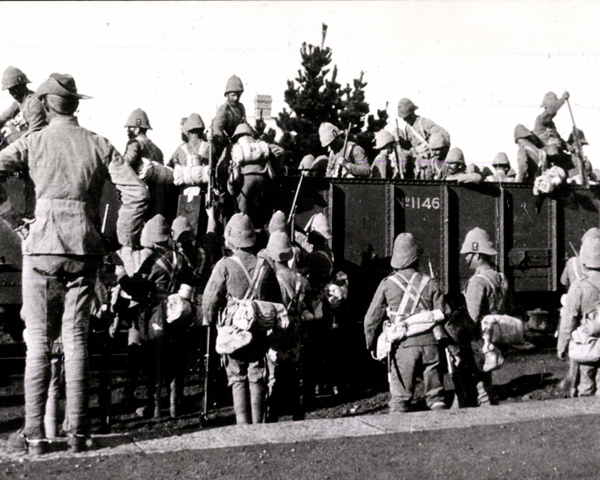 Then, in 1899, both regular battalions deployed to the Boer War (1899-1902), fighting in many engagements including Talana Hill (1899), the Relief of Ladysmith (1900) and Tugela Heights (1900). 1st Battalion was back in Britain well before the outbreak of war. It deployed to the Western Front in August 1914, fighting at Mons and Le Cateau that year. It remained in France and Flanders until the Armistice in 1918. 2nd Battalion moved from India to join 1st Battalion on the Western Front in December 1914. It was then sent to Salonika in November 1915 and Palestine in October 1917, before being disbanded in 1919. The 3rd (Reserve) Battalion fought against the 1916 Easter Rising in Dublin. The regiment also raised six New Army battalions during the conflict, including 5th and 6th (Service) Battalions, which landed at Gallipoli in 1915. Since its inception, the regiment had been the county unit for Armagh, Cavan and Monaghan. The last two of these counties became part of the Irish Free State in 1922, but Armagh was in Northern Ireland and so the regiment survived. 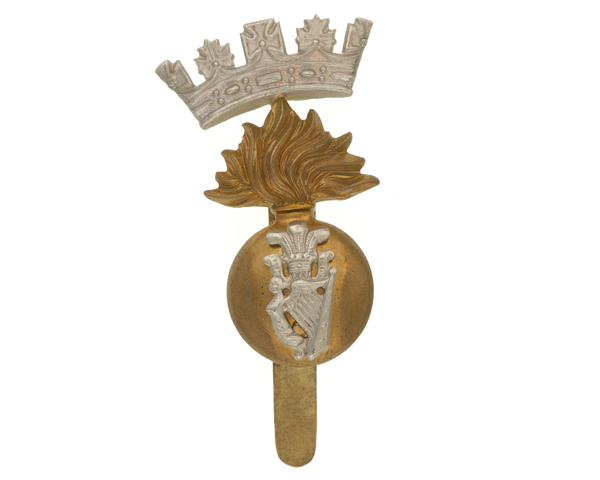 From 1924 to 1937, the regiment formed a single corps with The Royal Inniskilling Fusiliers, though both retained their regimental identities and titles. The regiment spent the inter-war years in Egypt, England, India and Sudan. It re-formed a 2nd Battalion in 1938 to serve in Egypt and on Malta. 1st Battalion fought in France with the British Expeditionary Force in 1940, before being evacuated from Dunkirk. After a spell of home service, it went on to fight in Tunisia (1943) and Sicily and Italy (1943-45), taking part in many engagements, including the Battle of Cassino (1944). 2nd Battalion served on the besieged island of Malta during 1940-43, but was later captured by German forces on the Greek island of Leros (1943). The 6th Battalion was re-numbered 2nd Battalion to replace it. 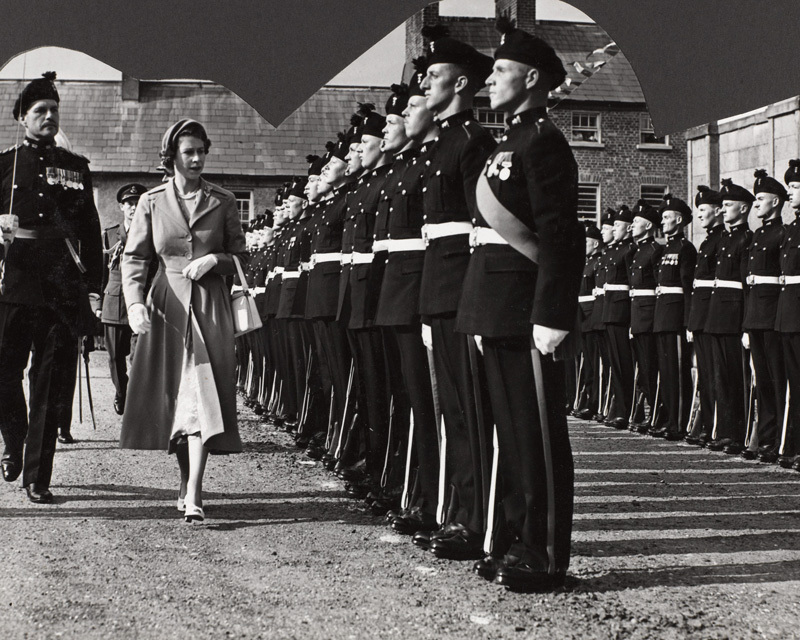 This unit was mainly stationed in Britain for the rest of the war and disbanded in 1948. The two regular battalions were merged in 1948. The regiment then served in Jordan, West Germany and Korea. In 1955, it deployed to fight against the Mau Mau Revolt in Kenya (1952-60). Further garrison duties in West Germany, Libya, Cyprus and England followed. In 1966, it sent detachments to Aden (1963-67) during the emergency there. In 1968, it amalgamated with the two other Northern Irish infantry regiments, The Royal Ulster Rifles and The Royal Inniskilling Fusiliers, to form The Royal Irish Rangers (27th (Inniskilling), 83rd and 87th). Explore the history and collections of the Royal Irish Fusiliers by visiting the regimental museum in Armagh.